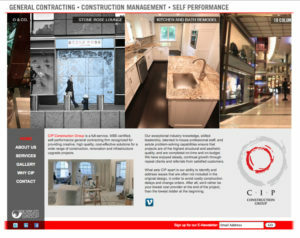 This self-performance general contractor wanted to enhance their current website to reflect both their scope of services and the high quality of their work. After conducting a competitive analysis, we developed key messages for their new company branding and revised the copy for their website to better showcase their full range of construction services. The client liked our recommendations to completely revamp their Gallery section and provide more information about each project in a Challenge / Solution format (and adding great photographs, too).